Dirt Bike Weight - Is It Time for a Diet? 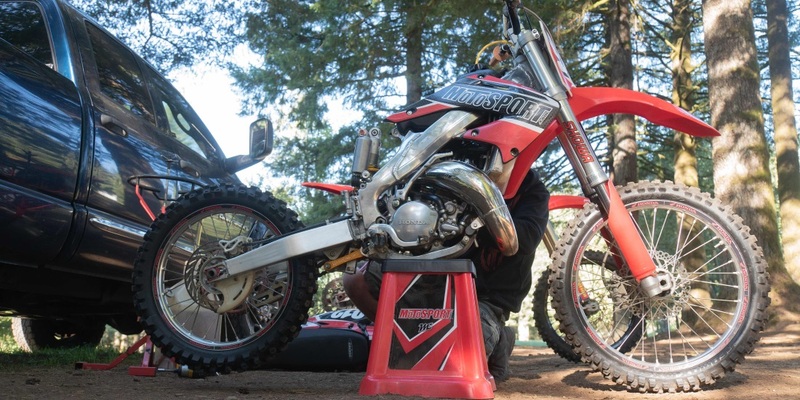 A number of ingenious methods exist to lowering the weight of a dirt bike, something pro riders find useful while looking for a competitive edge. After all, a lighter bike offers better pick-up and overall speed. And when you line up against the best racers in the world you need every advantage possible. Aftermarket parts like exhaust systems often help reduce weight, higher-end rims might shed a few ounces so will foot pegs and titanium bolt kits and springs. Drilling holes in bolts and washers cuts down on the "meat" of those parts and do that to enough of them you can reduce even more weight. Lighter inner tubes (no tire mousse for you! 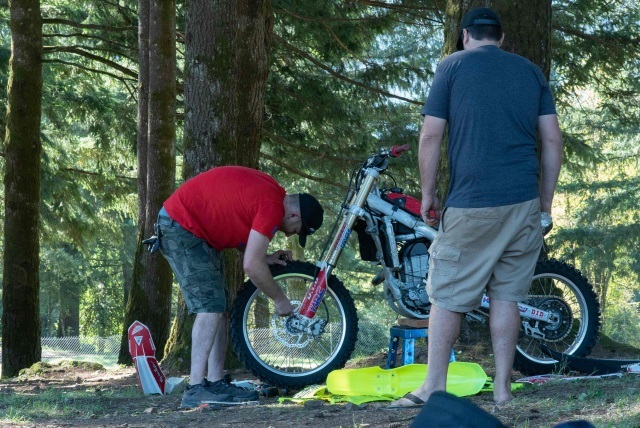 ), a lighter seat (or even shaving down your current seat) and removing disc guards, caliper guards and the like also help reduce the overall weight of your dirt bike. But just how necessary is it and perhaps would you benefit from losing weight yourself? Before considering any attempts at reducing the weight of your dirt bike understand some riders find a heavier bike easier to ride and control. Depending on your height, strength and skill level you just might feel more secure on a bike that's a few pounds heavier and sticks to the track better. Nonetheless, obviously carrying around a lot of extra weight whether on the dirt bike or you can contribute to how fast the bike travels. You might find this most noticeable when racing a Motocross track with steep hills. A drastic example but an applicable rule applies when traveling through the mountains - the smaller cars easily bypass those weighed down by a trailer or even filled with passengers. Therefore, you can spend gobs of money and lots of time tinkering with reducing the weight of your dirt bike but to little or no avail. Even if you implemented all of the above suggestions, you can probably shed more weight by going to the bathroom. Seriously, your bladder can hold quite a bit of liquid and eliminating just a cup of fluid drops your overall weight by a pound. And remember what you eat on race day. Your stomach can hold a lot of food and liquid which equals added pounds. And, while we're talking liquids, do you really need a full gas tank? Most Motocross bikes carry two gallons of gas - about 12 pounds. Amateur level racing does not feature 30 minutes plus two. Five laps at the most. Figure out how much gas you need during practice and reduce the amount of fuel you carry in the gas tank accordingly. You probably only need a gallon or a little more for a Moto. See, nearly another six pounds. Ultimately, this brings us to your fitness level and ability to ride. Anybody can ride dirt bikes and race but if you carry around an extra 20 pounds and don't regularly practice to hone your skills, the veteran rider in front of you who swallowed two hot dogs and a bag of chips 30 minutes prior to gate drop will still reach the checkers before you. Exercising and getting in shape presents a far cheaper alternative and offers more weight reduction opportunity than expensive upgrades that won't do you a bit of good in the C class. Additionally, until you start competing in racing and make your way into the A class you probably won't notice the difference in the drop of a few pounds, anyway. However, if you think weight holds you back, use this opportunity to work on your physical fitness which not only helps you shed pounds but strengthens muscles so you can ride faster and grab a confidence boost. Then you can start thinking about that ripping aftermarket exhaust.